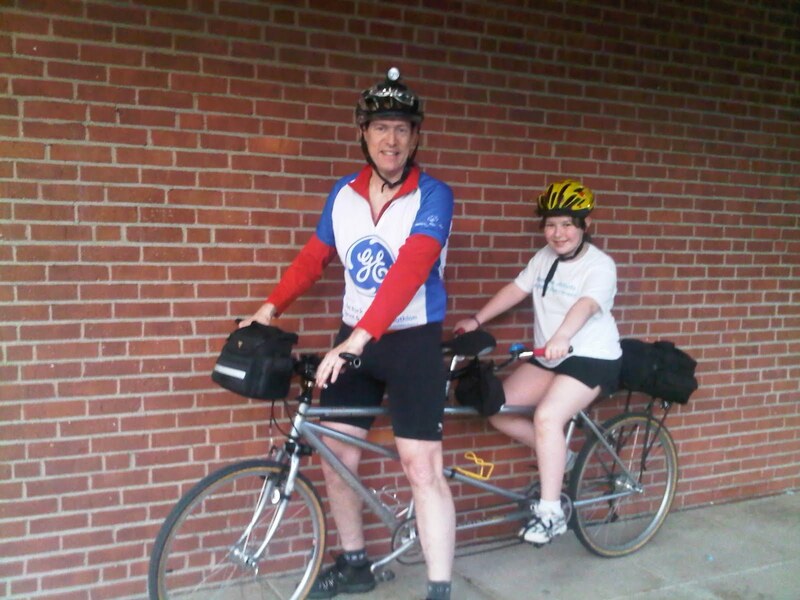 Being stuck inside all day for work, I didn't have a chance to enjoy this beautiful spring day so after dinner my daughter Katie and I rode the tandem up to town so I could vote in my town's Budget Referendum. While I voted for the new budget, because I want to ensure that the school system stays top notch, I had a feeling that it wouldn't pass and because every year the budget gets bigger and bigger and that means taxes go up and up. In fact by the time I got home my wife reported that the budget didn't pass. It wasn't all for naught, though, because Katie and got a good little work out. We got some extra protein in our diet, too, with all the bugs that were out. We got some good Daddy, Daughter time, and we swung by the Ice Cream Shoppe and picked up a snack for her and the boys. Not to mention saving gas! I hope I can ride again to the polls. This makes the second time doing so and I hop many more to come.